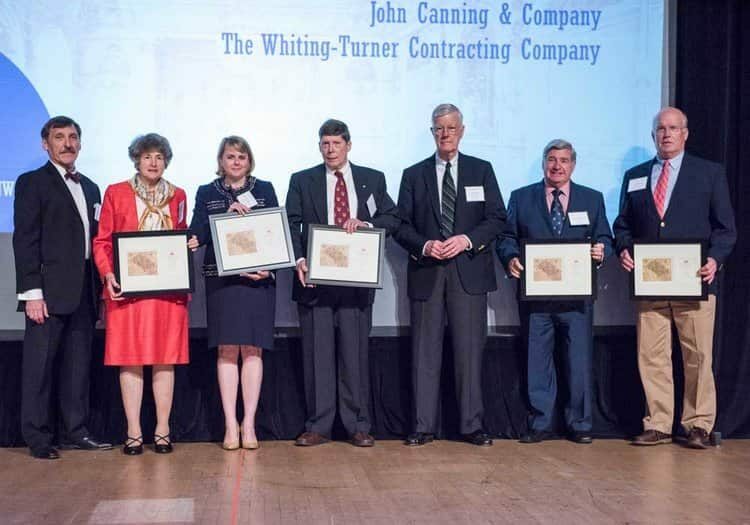 2017 DC Preservation Awards | John Canning & Co.
(Washington, DC-May 24, 2017) John Canning & Company is pleased to announce they have won the 2017 Preservation Award for The Cosmos Club, Warne Ballroom. The District of Columbia Office of Planning and Historic Preservation Office, in partnership with the DC Preservation League and the Daughters of the American Revolution, presented the 14th annual District of Columbia Awards for Excellence in Historic Preservation on Tuesday, May 23, 2017 in the historic DAR Constitution Hall. Since 2003, the District government has honored over 225 outstanding projects, programs and individuals for exemplary work and commitment to historic preservation in Washington, DC. This year’s awards recognize 47 individuals, businesses, government agencies and local organizations.